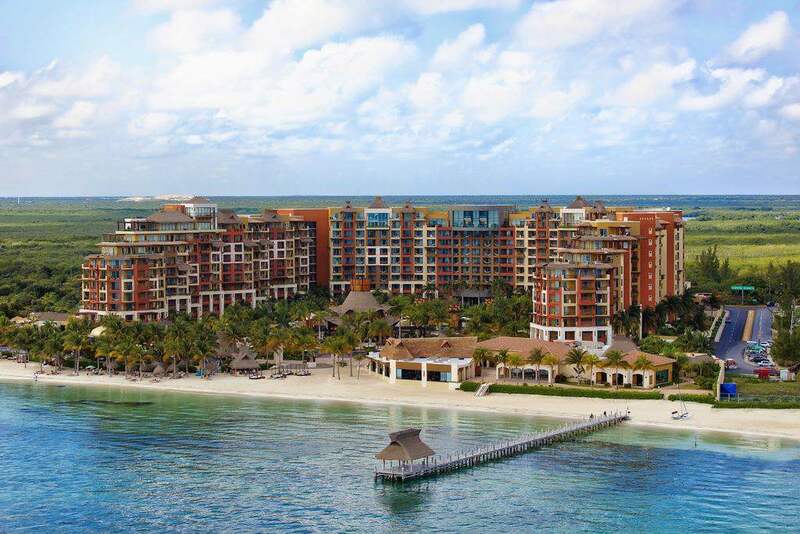 The beachfront Villa del Palmar Cancun Beach Resort & Spa is located just 15 minutes’ drive outside central Cancún. 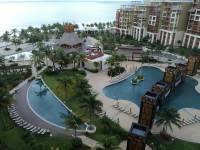 It offers 5 outdoor pools, 4 outdoor hot tubs and elegant, air-conditioned rooms with flat-screen cable TV and a balcony. 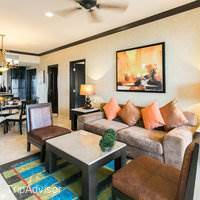 The rooms at the Villa del Palmar Cancun feature tiled floors and stylish décor. 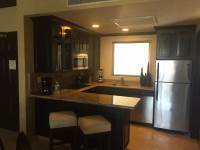 Each one comes with a private bathroom and a kitchenette with a microwave. The hotel organises trips in a glass-bottomed boat, as well as other activities. 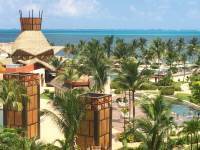 Staff at reception can provide information about what to see and do on the Yucatán Peninsula. A buffet breakfast is served on the terrace or in the dining room. 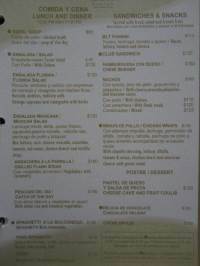 The hotel features a Deli and 6 restaurants serving international food. The Mayan ruins at Tulum are around 1.5 hours’ drive from the Villa Palmar. 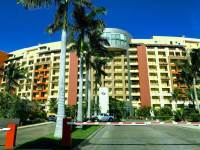 You can drive to Cancún Airport in 25 minutes. All the staff were really nice and professional. Food and drink were great.We came in for a sales pitch. We were impressed with all the options to choose from, but at the moment we said no to the Rep. Lois her attitude shifted and she became agitated. We told her a few times we didn't want to commit to anything. Ok so she escorts us downstairs and never spoke a word to us in the elevator. She walked way ahead of us in a fast pace to lead us to another person to offer us another price (a lot lower). So why not offer lower prices from the get go instead of wasting our time which is so deceitful. Other than that we had a nice time. 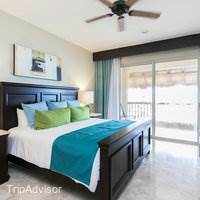 very nice resort,very quit,relaxing,excellent food,staff was outgoing .ferry next to resort to go to island.once on island you can rent a golf cart to cruise around and explore.food on island is very good. 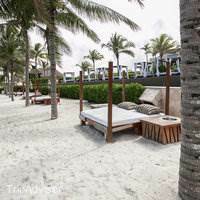 This is outside the Hotel Zone for people who want to trully relax during their vacation and want to be treated like Royalty. Aldo this is very family friendly place and we have no kids, there is adult only pool area and a daycare with pool area for little ones. 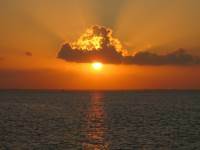 We had the most relaxing week and took advantage of the onside travel agency to book our excursions. The resort is beautifully maintained. The staff were all very friendly and helpful. 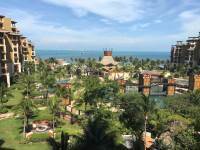 I am an owner at the resort and we opted to do the all inclusive for the entire time that we were there. The food and drinks were delicious. 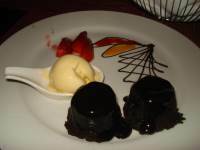 La Casona was my favorite but I enjoyed the food at all of the restaurants. 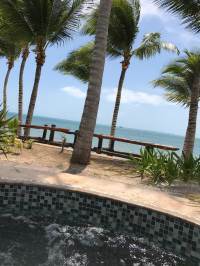 There were plenty of activities to do at the resort, but if you would like to take a day trip, I would recommend taking the ferry outside the resort over to Isla Muejures and spend the day on The North Beach! 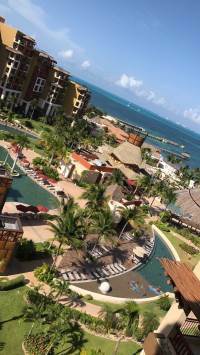 This was my 3rd trip to this resort, & it was great! I'm not interested in being in the middle of the hotel zone, so this property is perfect. Our 1-bedroom suite on the 6th floor in building 1 was comfortable & quiet with a nice view. The restaurants are really good, especially the steakhouse. We went to a tequila tasting with Ivan that was fun & quite informative. The staff is friendly & helpful. Pedro always takes great care of us & makes sure we have fun, this visit while in the pool nearest the beach!! Look for him! I'll definitely be back! Where do I begin. When I made the reservation from 9/30-10/6, I added comments in the 'special request' section letting them know it was my son's birthday on 10/3. 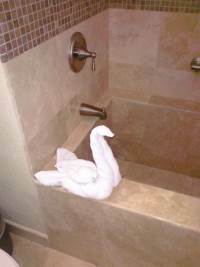 I even told the front desk concierge, as well as the 'personal concierge' Yadira. No One did anything special. Not even a slice of cake for him. 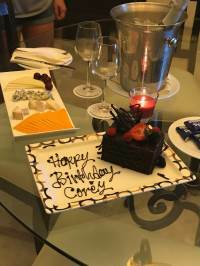 At Villa del Arco (sister property) in Cabo, they had a cake, balloons, and sparkling cider for my son. This hotel, nothing. -The Mattresses are TERRIBLE. They are old, worn, and give NO support. The Murphy bed was poorly put together. when my 8 year daughter who barely weight 50 lbs would turn in the bed, I could hear the entire bed creak from the other room. The mattress was old and worn as well. -Pool- we found globs of hair under our feet, food floating, and bandages- plural. the drinks are severely watered down. 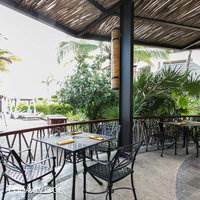 But the waiters are friendly and attentive.-One late afternoon, my husband, daughter, son, and I were in the pool and we witnessed a full on fight between 2 guests. It took 5 waiters to hold one of the men back. When one of the women went the concierge to tell them to call the police, she just looked at her with a blank stare and did nothing. We found out that they have ZERO security for situations like this, and they are not trained to handle situations like this. Other guests had to intervene and hold the two men apart. Also, police are literally right outside the hotel. They took over an HOUR to come and do anything. -We booked an excursion with the activities coordinator. We paid for 4 adults even though my kids were 8 and 10. When we were on our way to the destination, they ran out of seats and had me sit my 8 year old daughter on my lap for 2 hours there and 2 hours back. The ride was not on a highway, but through a jungle with unpaved roads. The back pain from doing this was excruciating. When we went back to the activities direction, Gabriel, to ask for a partial refund for my daughter who had to sit on my lap even though we paid an adult price for her seat, he told me that there was nothing he can do and that I should have basically thrown a fit and told the driver 'no, I am not going to sit my daughter on my lap.' Can you imagine having to say that in front of 8 other people and cause a scene? Gabriel put the blame on us and said we should have refused to put my daughter on my lap. I couldn't believe that instead of making things right, they argued that it was our fault. This excursion cost us $150/person. -Upon paying for the all-inclusive meals with Yadira, she failed to mention to me that 4 out of the 5 restaurants had a dress code. We are on vacation, and obviously my husband and son did not pack slacks and collared shirts. So we had to eat room service almost every night in our room instead of enjoying the restaurants that we paid for. Also, I think it's extortion how they make you pay a daily or weekly 'internet fee' for EACH device you use. A total rip off. 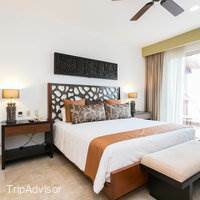 You are better off staying on the actual strip in downtown Cancun then off in this remote area where you have to pay for a taxi to go anywhere. The food and items in the Market are completely overpriced- go in town instead and buy what you need. This resort is beautiful, but I honestly don't think it's worth amount we spent. Hope this helps. We were incorrectly charged at check-in by Uriel. He requested specific amounts from our credit cards at check in and we were told that everything was good to go and paid in full. Once we went to check out 3 days later (no notice before checkout and we could have spent the money) Uriel tells us that we have a balance of $118. Uriel and the Manager Leticia made it seem like WE did something wrong. The mistake was made by Uriel because he did not request the correct amounts at check in. We had a fabulous time and to be told we have a balance on check out was very disappointing and disheartening. To be made to feel like we did something wrong and for Uriel to take no credit for the mistake was unacceptable. It was a really bad last impression.I believe her name was Ruth. She told us that the Membership meeting would be 90 minutes in order to get the VIP discount card. We had breakfast, tour, and in meetings for 4 hours. After we said no a couple of times several more people spoke to us. 4 hours (half of day really) was spent in the membership meeting. This was not okay.The last impression and how we were treated at checkout. Uriel and Leticia really made me feel like I did something wrong and I wasn't the one that made the mistake. 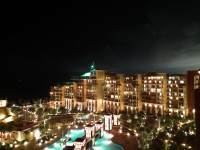 If you are use to going to a Royal Resorts or Marriott Resort to do stay here. We did not take the meal plan (thank goodness) This resort needs to do better on the meals. We had the buffet breakfast for 2 people our bill was $75.00. Really??? The unit was not equipped very well with - no dishwasher detergent for detergent to was dishes. The market is not very well stocked with. We had dinner in the Japanese restaurant - what a mistake. My husbands spicy scallops turned out to be a fishy stew in a shell. 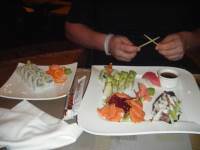 I would have sent it back - my dinner arrived before I had finished my appetizer - had grouper that was so tough I had to cut it with a knife and was cold. Our room had an beer and a soda that had exploded in the freezer when we arrived obviously it was not cleaned and there was food in the cabinets.This was a very disappointing vacation. Beautiful property, but far from hotel zone. This is a beautiful property, but is not in the best location. However, they are building others near making this the second hotel zone. 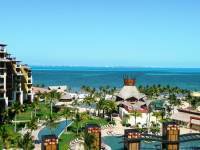 It is much better, however, than the Riviera Maya, where the timeshares are far off the road. There are busses which are safe right across the street. 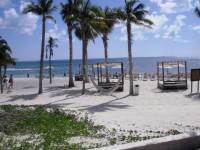 What is great about the location is that the ferry to Isla Mujeres is next door. It is a wonderful and inexpensive 45 minute ride across. Once there, it is a must to rent a golf cart to drive around he island. The water is the most gorgeous color blue, so best to go to the North Beach. Another suggestion while riding around the island is to stop at Oscar’s for pizza. 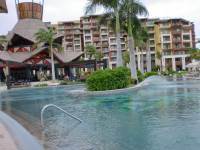 Back to Villa del Palmar, there are beautiful pools and jacuzzis, and the restaurants are pretty good. Our biggest complaint is that as people that only eat 2meals a day and don’t drink much, it is not worth taking the meal plan. There should be an option for 2 meals and with no drinks. Overall this resort is fabulous. All-Inclusive is definitely the way to go, even though always felt that we needed to tip. The restaurants are amazing. Go to Davinos and get Carly. Make sure to order a Spanish coffee to finish off you meal. We had plenty of room service as well, do not order the cheese sandwich, it is not a grilled cheese and it is over priced. We actually went on one of the timeshare trips, now called Residence. Once we decided on not purchasing felt we were hassled some but got over it fast at the bar. check in was easy, food was great but repetitive for breakfast. rooms and accommodations are nice, pool is big but, hot. no entertainment. 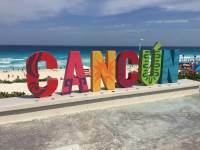 worst beach in cancun with tons of seaweed that was stinking up the resort. "NO INTERNET" unless you pay $10 a day for it or go to market store at resort. "Big push to sell time shares" Collected my six weeks vacation I bought a year ago as trial membership dream vacation. P.S. do not buy!!!! you cannot visit other Villa locations with this trial membership. ****this resort is 25 min. away from really anything. You have to take a taxi $30 one way any where you go unless you take public trans. at 9 peso per person. So if you are looking for excitement this is not the place. 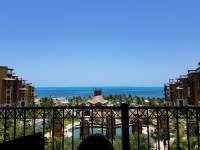 Overall this is a nice but very expensive resort, there are 100's of other resorts in the cancun/playa area just as nice and much cheaper. I will not be coming back to this resort as there are so many others to experience. Room was lovely! 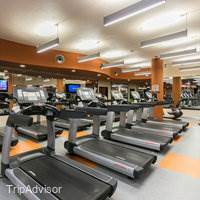 the facility was perfectly clean and the staff was fabulous. Alexsei the pool butler was wonderful and attentive. Zama was our favorite restaurant. Enrique and Ximena welcomed us like family. Edurado at the breakfast buffet was very kind and accomadating. Nancy at the concierge desk was very professional and friendly. 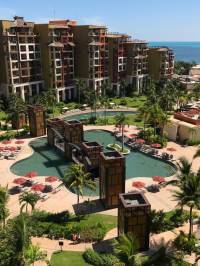 Anyone who has read my previous reviews know that I love Villa Del Palmar. I visit 3-4 times per year and truly consider this my home away from home. I believe they listen to my feedback as I do notice changes when I return. The staff is wonderful, everyone! The resort is relaxing and beautiful. I would like to see a place where couples can go in the evening for music and dancing beyond the shows/dancing that is held in Caprichios nightly. The resort is beautiful inside and out. It is as beautiful during the night as it is during the day. It is so clean you never see a speck of anything out of place. There are several different restaurants on the property. I would say it was a little pricey, somethings were excellent and others were just ok. 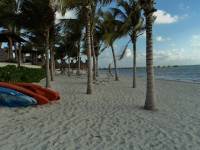 I like to be able to leave the resort and eat more locally, however the resort is far from Cancun restaurants. They offer many activities on a daily basis. The yoga instructors were excellent. Yoga was on the pier hut complete with chlorophyll water and cool cloths for your forehead. The beach was a disappointment as it is small, and had dead sea grass lining the beach. It could have have been cleaned up better. 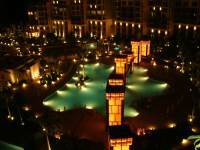 The 5 pools were amazing as was the Pool Butler Aleksei. He makes sure you have everything you need and was always so cheerful. We always looked forward to seeing him at the pool. We took the ferry to Isla Mujeres. The water and beaches there were absolutely amazing and plenty of good restraunts there. Our favorite was Casa Rolondi. 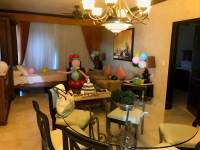 All in all you will have a wonderful time if you choose Villa Del Palmar. We were very lucky to stay for 5 weeks. 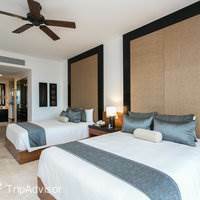 Rooms were very spacious and we had wonderful views of the gorgeous Caribbean ocean and resort. Found all the restaurants to be fantastic, but our favourite was definitely the Japanese restaurant Hiroshi. We found staff at the resort to be very friendly and helpful. We had the opportunity to spend time at the spa and found Nhely and Alberto to be attentive and great therapists. But the highlight was definitely the Kids Club. Our son who is 4 was so well taken care of by Nely, Natalia, Isabel and Camille. They were the best kids club team I have ever come across. They have daily (hourly) organised activities so you can plan your day with your little one. We felt as though the girls have become part of our family by the end. Thank you Villa Del Palmer for making our stay so enjoyable. 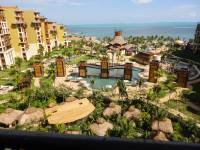 My daughter and I was an excellent experience at the Villa del Palmar Playa Mujeres. The room was spacious, clean, and over the top. 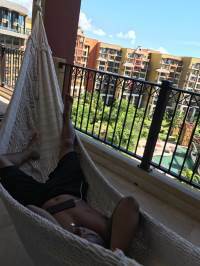 We loved the hammocks on the balconies as well as the animals left by the maids on our beds made from towels.There were two problems: the cost pf meals and the overbearing traffic police just outside the resort. Of the five times we used the rental car, four of those times we were stopped by the local police for various specious issues. Eventually they let us go with no tickets, but each stop was an over-the-top annoyance. 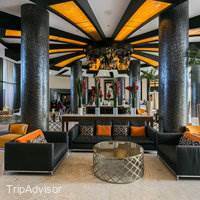 I enjoyed every moment i stayed at the hotel, neat rooms, very kind staff, peaceful and beautiful beach, awesome pools, amenities good, incredible Gym , yoga was amazing with the ocean view, i loved the food from sushi rest, steak house and Mediterranean rest amazing, waiters very knowledgeable and professionals, i will come back and i will recommend the place. I would rate this a first class-5 star resort. It is very safe, and all-inclusive. 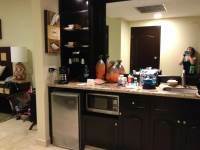 The staff is first rate as well as the restaurants and maid service. My family has visited this resort 2x and it gets better each time we visit. We plan to return in the spring of 2018. 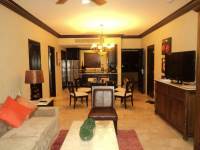 I have been a member of The VIlla Group for over 7 years now. 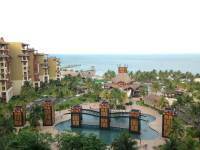 This was our first trip to the Cancun Villa del Palmar. It did not disappoint.My daughter (23) and I have traveled to Cabo, Puerto Vallarta and Loreto. 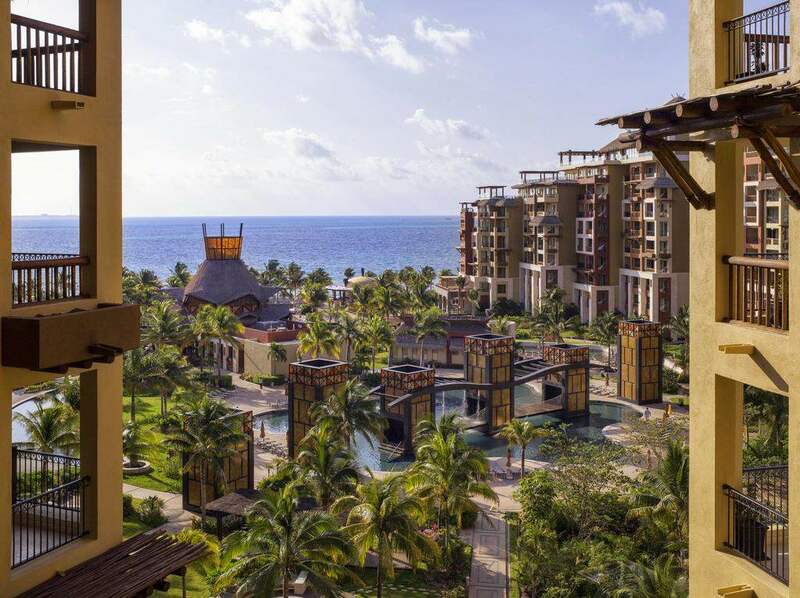 Every experience was amazing and that is the main reason I have become a member.The resort was super clean, staff were super friendly and and the whole experience was awesome.I will say that the resort is on the higher end of the expense scale. The brunch was probably the biggest shocker. As my daughter and I did not have the option of no brunch, so we were charged accordingly, $80 for the both of us. Even if you only get a muffin and cup of coffee. So, just be aware of that. 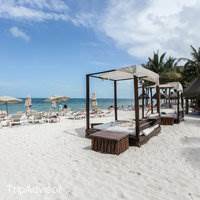 Mosquitoes are tiny little buggers and they are carnivorous, so make sure to get some bug spray at the Palmita market on site or make up your own peppermint/clove/Eucalyptus oil spray.Go to Isla Mujeres and Isla Contoy. They were a LOT of fun and super memorable. NOT the best experience but not the worst one either… First, we were in a room (400's) I don't recall because I try to erase it from my head! 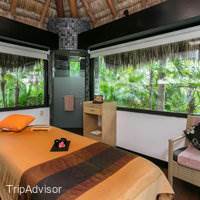 the colors inside that room made me nauseated too bright for a vacation room! Moved to 1306 and only because Victor at the front desk was so compassionate and the best at the front desk in my opinion, personable and people person (Victor not so much, very robotic)...thank you Victor for moving us-truly enjoyed the rest of our vacation! The spa: we got couples massage, it was phenomenal to say the least! My husband and I got pedicures and they were OK his was OK mine was horrible had to go back they fix the nail polish and now it looks good. Went for acrylic and gel change on my nails and had to go back twice we left yesterday Saturday and now they look like hell to say the least even with the ladies changing the color! Even though they credit the service it was a total waste of time! If you are planning on relaxing at the pool most of the time then you want to make sure that you get Aleksei for your Pool Butler. He comes over to you once you have found the area you would like to lay out at and lays your towels out for you on your chair for you. Then he continues to come by and check on you through out the time you are at the pool and puts the umbrella up for you and moves it around so you can stay in the shade. He also makes sure that you have little tables for your entire group to put drinks and food on. He is the best! 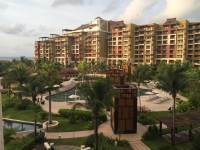 I want to thank everyone at Villas del palmar Cancun but especially Alejandro pool waiter, he was really good at his job very pleasant and friendly, he even helped my kids when he was off work by telling them where to go at downtown Cancun to watch the fight, how to get there and back like I said he was very helpful people like that deserve to be recognize for making the guest feel like home. Thank you Alejandro!Rangel family. 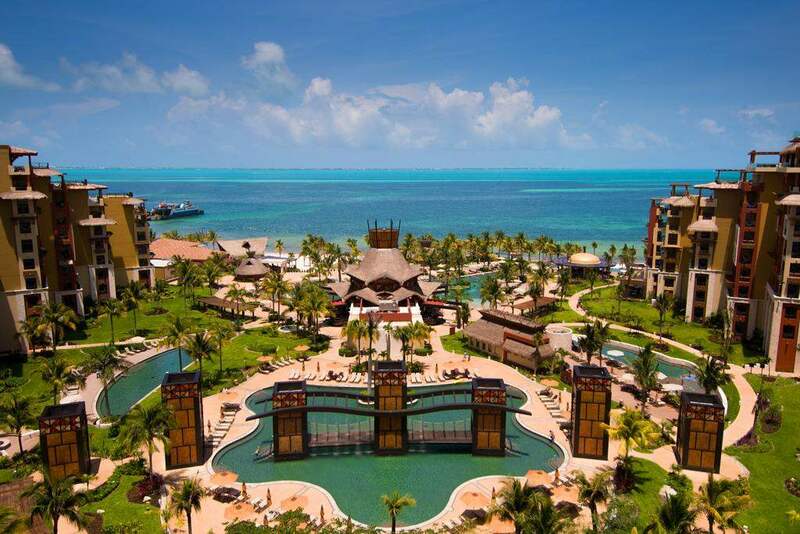 This is a time share property so of course your going to have to attend a sales meeting. With that being said this property is very nice but it has many drawbacks. We have two children ages 9 and 10 with us and they were quite bored with the whole thing. 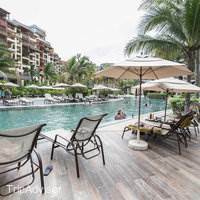 They have a pool for toddlers, one for adults only, and two for the whole family but these two pools do not have any pool activities for our age group children. The breakfast buffet is great and the Steak restaurant at night is good but the other options they have leave a lot to be desired. A $100 a day all inclusive for what they offer is a little steep. You can drink all day if you want cause there is very little liquor in the drinks. I'm not a drinker but I did have a few each day with no affect. The beach is nice and calm but that's about the best I can say about it. Good if you have children. For the cost of this place I would suggest you can do better else where. This was our second trip to VDP. Awesome time again! Immaculate grounds and very friendly staff. 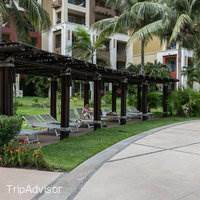 Pool Butler Pedro Noyola was very friendly, helpful and always thinking ahead for our family. He made our trip special!The restaurants were great and the food above average for an all-inclusive. The nightly entertainment had it's good nights and sub par nights. The local band singing covers was great, but the dancers were not the best.Overall great trip! My family and I had an amazing time at the Resort. The food, staff and the service was nothing short of excellent. I highly recommend this resort. Big shout out to the baby sitting services at the kids club (Natalia & Nely) they made our stay much more fun and memorable by looking after our 2 children like family. Thank you guys a million. We took a girls trip for my 30th birthday and were excited to be going to Cancun. When we arrived we were greeted by friendly staff and the check in process was smooth, considering there were 8 of us. 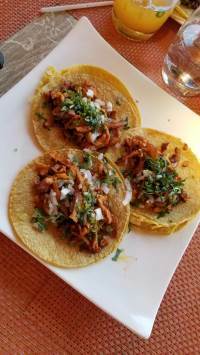 Many of us have been to all-inclusive resorts before and have to say the food was by far the best (specifically the La Casona and Hiroshi). However, La Casona would not accept reservations if you are not a 'member' so we had to wait until a new table could fit 8 when a 'member' reserved a table for 8 and didn't arrive on time. Zama - by far the best wait staff. 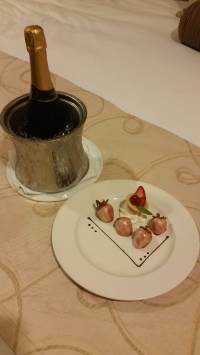 The manager went above and beyond to ensure that we enjoyed our trip and time at the resort. The day-time entertainment staff was exceptional! 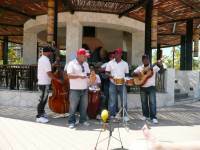 They were great at getting the vacationers to participate in activities and ensure everyone was enjoying themselves. We definitely would have had a different/less fun experience at the resort if it were not for them. The overall feel of the resort was good, but definitely wish they had sprayed more for mosquitoes. I understand they were hit with Lidia before we arrived, so that may have been the cause for the mosquitoes. 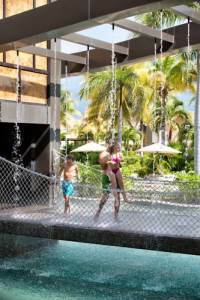 Our family of 6 adults & 3 children, were most pleased with this resort and would gladly return. Each family had a condo, which overlooked the pool, suited us fine. 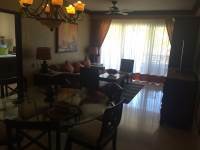 The condos were colorful, Mexican style and while not luxurious were comfortable and cleaned every day. AC worked great.We appreciated the restaurant options and food was tasty. Service was good, with some waiters a bit of fun. Pool service for drinks and snacks was usually timely. The locale is great too, with bus service to downtown just one block away. Also it is not far from the airport so the taxi cost is not dear. Check-in could have been a bit more organized, my only negative comment. There is nightly entertainment/show which was very good. Most nights they had theme parties along with the show; a beach party, a circus party etc. This resort would be good for families and also couples. 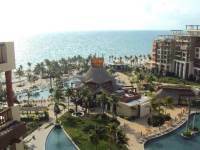 I would recommend purchasing the all inclusive package for several reasons. First, since not every guest purchase the all inclusive, the food is of a higher quality because some guests are paying cash. 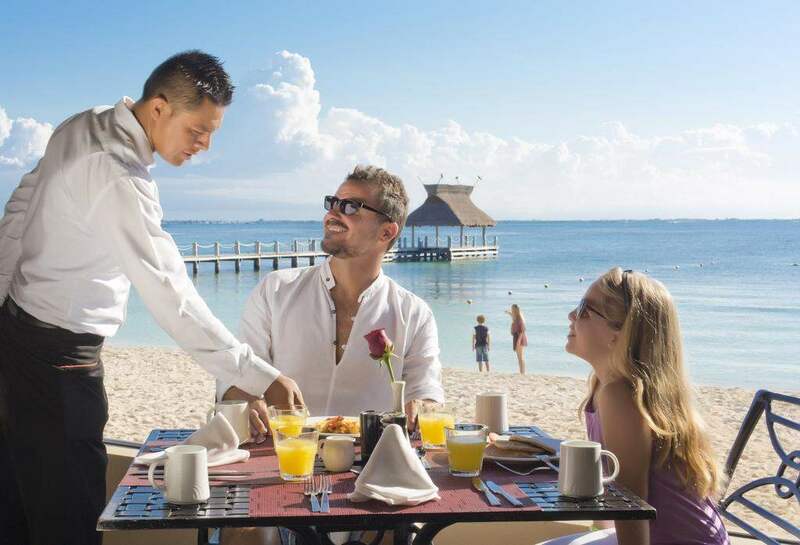 Therefore, the resort can't simply lower the overall quality of food as is often done at all inclusive resorts. The restaurants are well worth the experience. A second reason to purchase the all inclusive is that the refrigerator drinks & snacks are restocked each day as part of the plan. We went for our honeymoon and we were pleasantly greeted upon arrival. We spent a lot of our time in and around the resort because we had an all inclusive food/beverage plan and we couldn't have been happier. Customer service was awesome from start to finish. 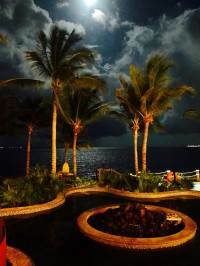 Location was wonderful as it was away from the busy side of Cancun. We loved all the restaurants and hanging by poolside was fun too during the day. This place is perfect, there is no other place like it. The staff is very . The servers are very friendly and swift with your order. All of the restaurants are excellent. Water activities are excellent. 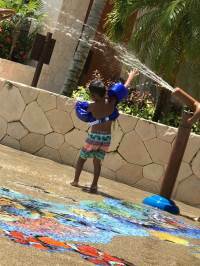 The whole family really enjoyed themselves and want to go back to vacation there every year! The property was beautiful. Small pool on side for adults only, but kids would still get in. Also kids were everywhere and not being monitered by their parents. Watched one little girl pull down her swimsuit and pee in the pool that adults were in and her parents didn't do anything. 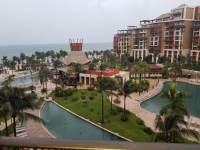 We booked this resort at the last minute to flee Hurricane Harvey. We left Houston full of uncertainty and anguish, however, the staff made us feel at home. Isabel Mendoza went above and beyond to help us. I mentioned that my sons birthday would be cancelled due to Harvey and she planned a surprise birthday celebration for him. I cried when I saw my sons face walking into our room to find it full of balloons. 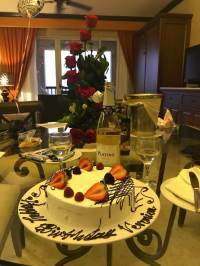 She even ordered a custom made chocolate cake for him! She was like an angel for my family! I will always be grateful for what she did. The service of Alberto at the Mexican restaurant was great! He always knew what we wanted, its like he read our minds. Alexeia, at the pool, helping me entertain our children! Everyone was so helpful. They truly made our stay there amazing. First, the good:- The food. 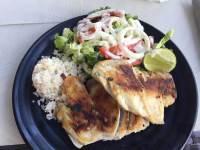 Some of the best all-inclusive food we've ever had. 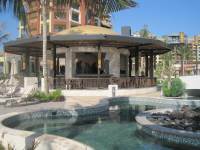 We've been to a number of all-inclusive resorts, and Villa del Palmar had the best food of any of them.- Pool Service. Great folks bringing food, drinks, umbrellas, towels, pretty much anything we needed all the time. It was a real treat to just lounge by the pool all day, and have our every need met.- The rooms. 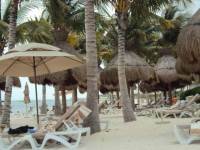 Our rooms were very clean, the beds comfortable, and mostly well maintained.The bad:- The beach. The disclaimer here is that hurricane Franklin went by the second day we were there. So this probably stirred up the ocean, and made seaweed come in. 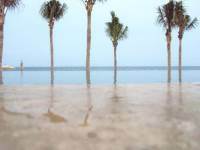 However, even later in the week, when the hurricane was long gone, there were no fish to be seen while snorkeling in the beach off the resort. 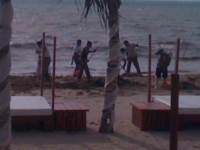 And, even though they cleaned up the seaweed daily, they piled it just next to the resort, and it stunk terribly. We ended up at the pool most days because the beach was so bad. And we usually far prefer the beach.- WiFi. This was one of our biggest beefs. The WiFi costs $10 per day per device. We've never been to a resort recently that didn't have free WiFi, so this was kind of surprising to us. And way overboard expensive.- Signing for meals. This was such a pain. Because there are options for all-inclusive and not, we had to sign for each meal. We've never been in a resort where we had to sign for the meal. If you're considering not going all-inclusive here, don't. The food is really expensive. 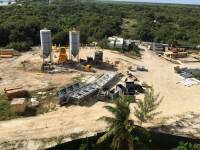 I'm glad we did the all-inclusive option.- The staff's willingness to work with us. We requested one room with a king, and another room with two queens. Both rooms had a king, so our daughters had to sleep in one bed. We asked them to be moved, but the would have had to be in a separate building far from us. And the staff seemed to be reluctant to do this.- Membership sales. This gets so old. Every resort we go to any more it seems there is a big sales pitch for membership (not Time-Share, but sure looks like Time-Share!). We found them pushy even though we made it obvious that we didn't want to sit through the presentation.- NO nightlife! My wife and I really wanted something to do late at night, but the resort pretty much shuts down at 11. Granted it's a family resort, but it would be nice to have something to do.- Buffet closed three nights of the week. We were very surprised by this. The restaurants were open, but because the buffet was closed, the wait times were often 1/2 hour to 45 minutes.Overall, we did like the resort, it was clean, well cared for and most of the staff was very good, but we won't go back. 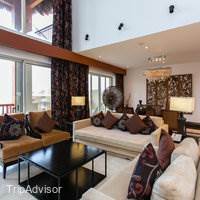 There are a lot of other resorts we think are better and better value. Just returned from this amazing property! Can't say enough about the quality of service we received during our 10 day stay. Our first day by the pool, we were greeted by Aleksei, the pool butler. He reserved cabana's on the beach for us and made sure we had everything we needed. 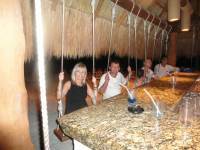 One of my favorite stops was the Tiki Bar. The seats are swings on the beach! Ivan and Diego are fantastic mixologists. They always play great music from the 70 and 80's. Ask for bartenders choice, Ivan will bring it to you in your private Cabana, if you wish.Another favorite was the Spa. I can't say enough about this!They have nestled the spa into the middle of the property and you literally walk by it and not know it's there; It's Camouflaged like a rainforest. 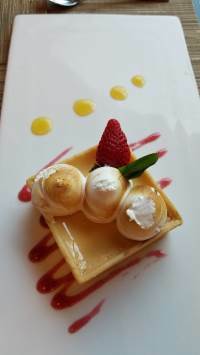 I received the best massage I've ever had.Loved it so much, I went back for another the end of the week!Although the food was excellent at all the restaurants, Divino's was our fav. 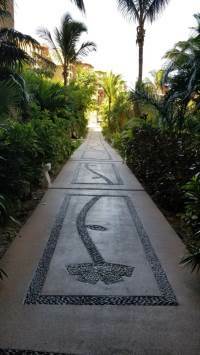 Alex spoiled us with flaming Mexican coffee's and yummy desserts.Villa del Palmar has paid great attention to details when building this property. There is a hammock on every balcony, which I was in every afternoon. I also love the fact there's an adult pool as well as a children's pool. 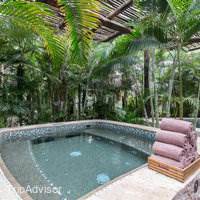 There are many jacuzzis all over the property too, which is nice. My husband and I have been members for 13 years. VDP, You've done well with this one!!! Exceeded our expectations! First time All Inclusive trip for family. Didn't know what to expect having never been on a Caribbean Vacation before. This resort did a fantastic job accommodating our family. The 5 main restaraunts were unbelievable, every meal was great! Lots of different pool options at the resort as well. The wait staff at all of the dining spots was incredible, can't put into words how great because I've never experienced that level of catering. The excursion options are endless as well, though we only did a couple because the resort was so comfortable! If I HAD to list something that could be improved it would be the beachfront for the resort, kinda small with lots of seaweed, though it didn't keep us out of the warm waters by any means. The other negative would be the hard sales push for membership to a "time share" type of club made up of 4 & 5 diamond resorts. It's probably not required but they caught my Wife at a vulnerable time as we just arrived and were marveling at the beauty off everything, lol. I would recommend this resort to EVERYONE not just families. The pic is from our porch! 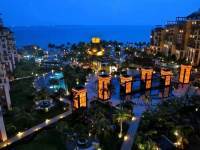 Love Villa del Palmar Cancun!!! I would recommend this place to everyone. I have been here many times and every time is the same. It is wonderful! I especially love the way the staff makes you feel special. They go out of their way to welcome you and make sure everything is better than you would imagine. I will be back. Too expensive. Why were we not given the all inclusive meals and privileges of the time share owner? The taxi fares to the hotel zone were incredibly expensive $40 each way. That's $80 just for the privilege of spending more money while shopping. The shopping at the hotel was very expensive. The beaches were not maintained timely. There was a lot of seaweed for 5 of the 7 days we were there. The alcoholic drinks were not of good quality. The staff was very friendly but I thought the push to sell timeshares was just too much. I thought the store on the premises was too expensive and there was no wifi to blanket the resort. At these prigces that should be included. 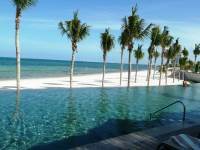 This is a wonderful resort: beautiful scenery, well appointed rooms, beautiful beach and pool area. 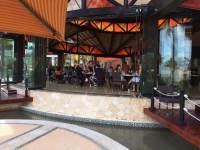 The resort boasts very good restaurants and has a very nice vibe. Daytime activities are fun; activities staff was good. Our only complaint is that the evening activities need work. Some are great, but others just lack creativity or there is absolutely nothing.